In 2018 I decided to embark upon a year-long makeup no-buy/low-buy challenge, trying to spend only $25 on makeup or beauty products for 12 entire months. Read more to find out how i did and what I learned! Over the last few months I've posted consistently about my no-buy challenge with mini-challenges to siphon down parts of my collection. 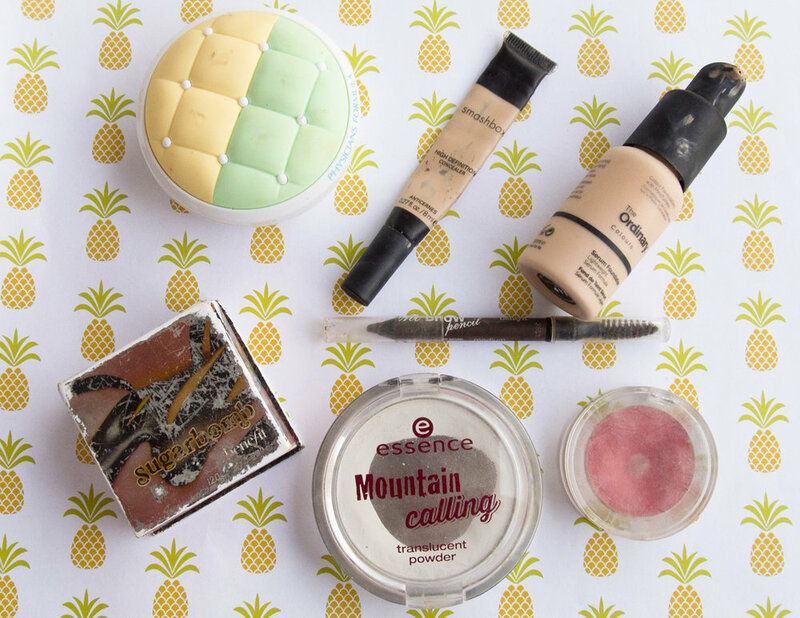 I also put together a little summertime 'Project Pan' for myself, piling together seven makeup and beauty products I wanted to hit pan on. Now it's time to reveal my progress! Another month, another pile of empties! 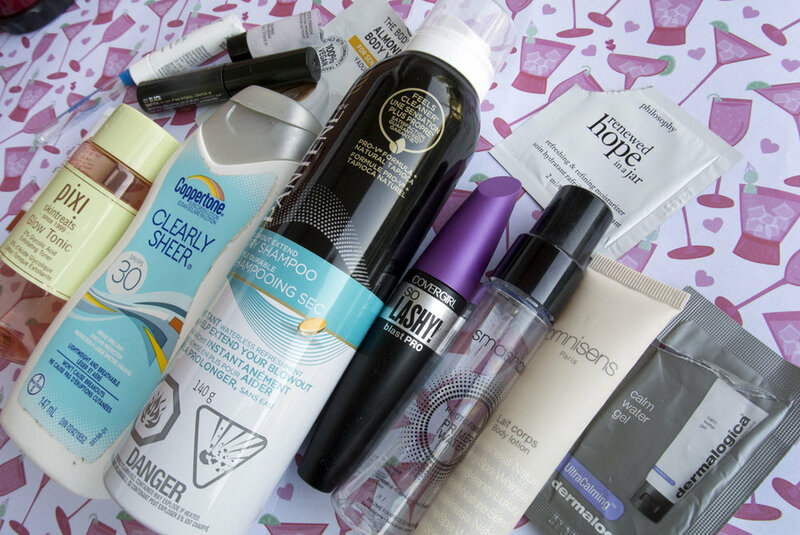 August was a SUPER hot month in Toronto so I wore very little products this month, keeping it super simple. Even so, I was actually surprised that this month was so small! I was sure I'd have more, but some of the things in here were actually quite good (OR BAD!) so I'm happy to have more space to chat about them.